Global high-tech company Leonardo are one of the key players in Aerospace, Defence and Security. They believe a company's most important assets are its people. As a result, they invest in identifying, developing and rewarding the know-how and merits of each individual, so they can be made available to all. So when it comes to identifying graduates with a talent for real-time software design, that's something Leonardo are keen to do. Which is where Feabhas comes in. 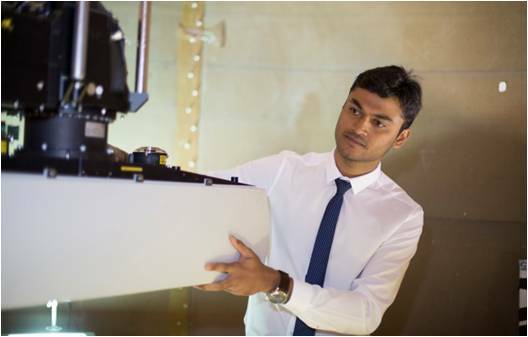 Leonardo wants each graduate to have the best start to their working career, and the opportunity to benefit from an ongoing learning journey. As a training provider dedicated to improving the quality of embedded software, Feabhas is delighted to have been supporting Leonardo with graduate assessments and onsite training since 2009. For the last 5 years, courses in both real-time software design and the essentials of the C++ programming language for real-time applications have been run in Edinburgh and Luton, for each graduate intake. The results of the pre- and post-course assessments are shared with Leonardo. The team use them to help identify further development areas and to spot those with a real talent for particular areas of embedded software development, such as systems design and testing. Today, the relationship between Leonardo and Feabhas is one of a valued partnership. One example of this is how Feabhas uses the pre-course assessment results to adapt course material to ensure the content is best suited to the needs of that year’s intake. Very thorough lecturer, for whom no question is a problem, regardless of how it is phrased. Interesting notes and good to get experience of the compiler environment and target hardware. A very useful course. I am currently updating a C++ project. It has highlighted a number of deficiencies that this project has, and has given me the tools to improve it.